Andrea Waltz launched her current company Courage Crafters Inc., in 2007. She has spent the last 8 years with a singular focus: helping people reprogram how they think and feel about failure, rejection, and the word, NO. 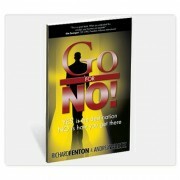 She is the co-author of the best-selling book, Go for No! Yes is the Destination, No is How You Get There. Along with her husband and business partner Richard Fenton, they speak at sales conventions and conferences all over the country as well as internationally. The ‘Go for No’ philosophies have been embraced by salespeople, leaders and owners in virtually every industry and business to rave reviews and amazing results. Register here to watch the video! Showcase is the Auto Shop Talk Show, for Independent Repair Shop Owners! On select Thursdays each month at 12 Noon CST, join Gary Gunn, AAM and other hosts LIVE to discuss issues that are important to you. If you can’t attend live, the A/V files, links, and documents will be online FREE in this library. You may also subscribe to the “Turnaround Tour ShopPros Showcase” podcast on iTunes via the Apple store for instant downloads of mp3 audio episodes for your mobile device. Don’t miss another episode! Register for upcoming Webinars here, or via our weekly Email Newsletter. How many aspirins do you take per day for people issues and concerns? Would you like to take less? Would you care to become aspirin-FREE quickly? Let’s expand our aspirin usage a little further concerning people. We have found people issues come from your existing staff not doing what you think they should be doing. Perhaps they don’t know exactly what they are held accountable for. Have you told them you love them lately? Always finding fault is a bad way to go. Maybe you have not done the proper training. We also hear the greatest moaning and groaning from shop owners about their people, particularly in finding and keeping them. Our People / Auto Staffing Process Intensive is the cure for the pain in finding and retaining people. Your work (Norm and Gary) is absolutely top-notch. Most of us got in the business to wrench, not to PAHR. What a massive mind-shift you have caused in me. What will be your story? Come listen then decide to join People / Auto Staffing Process Intensive webinar series, which starts August 26, 2014. Save money on this webinar series! Sign up today! Early Bird ONE – Sign up before August 8, 2014 and save $200! Invest in People Pain Relief for only $797! CALL TODAY 1-844-888-4443! Early Bird TWO – Sign up before August 15, 2014 and save $150! Invest in People Pain Relief for only $847! Early Bird THREE – Sign up before August 22, 2014 and save $100! Invest in People Pain Relief for only $897! Call me today at 1-844-888-4443, or email gary.gunn@shoppros.com to sign up!